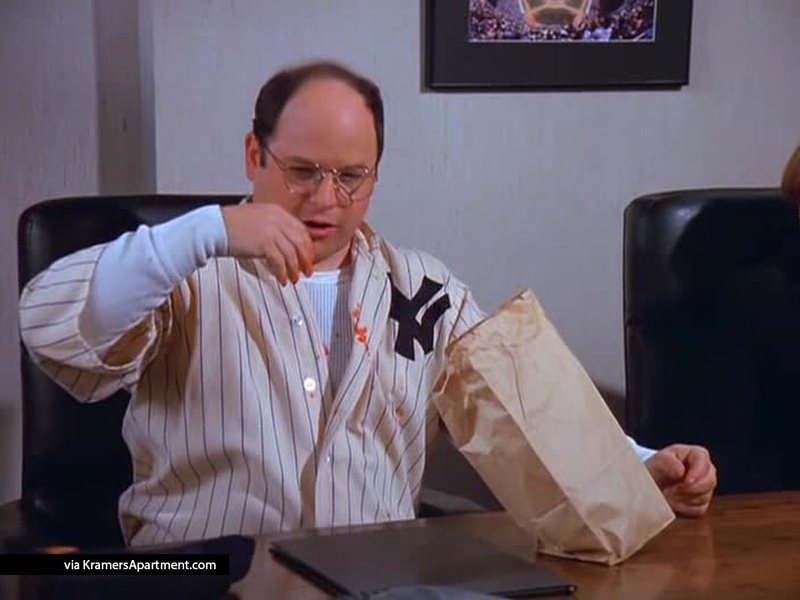 George is wearing a toupee and Kramer tries to set him up on a date, but he doesn’t have a picture of her so they go to the police station so a sketch artist can draw them a picture. 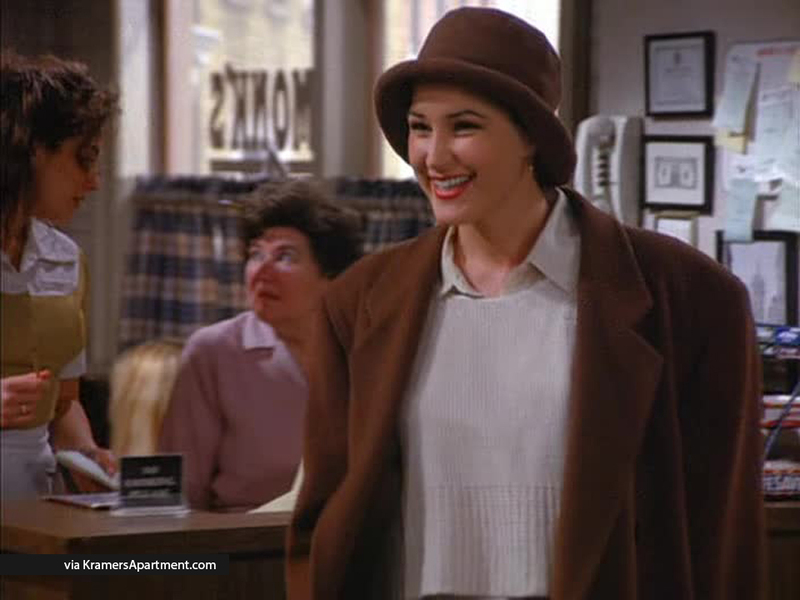 George meets Denise at Monk’s and learns that she is wearing a hat to hide her baldness. 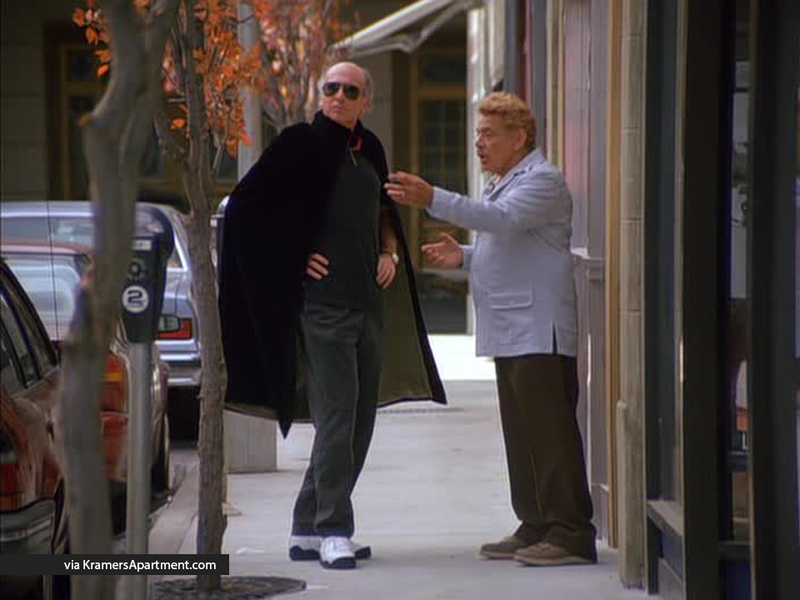 George arrives at Jerry’s apartment disgusted, saying that Denise is bald and tells Kramer this which is a surprise to him. 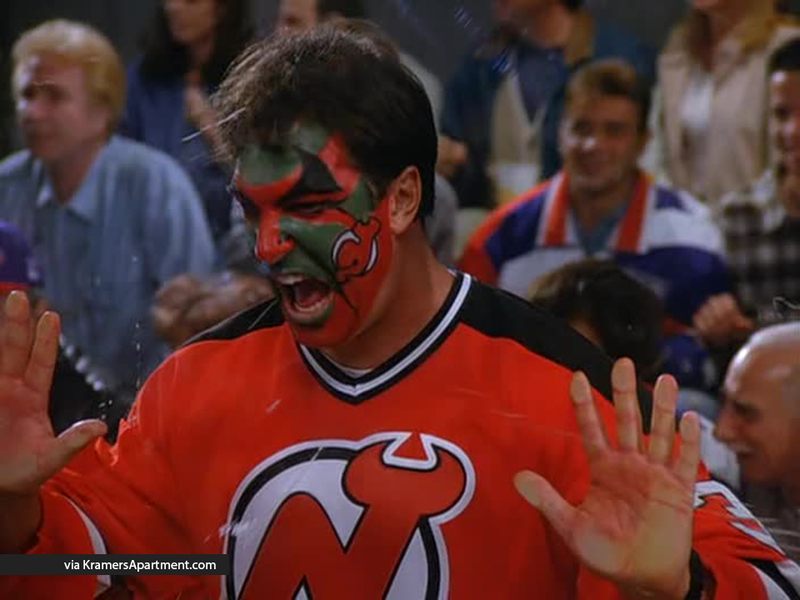 After arguing that George is bald too, Elaine angrily throws his toupee out the window. Now toupee-less and defeated, George tells Jerry he is himself again, and will continue to see Denise. George: (thinking to himself) Oh my god, there she is. That’s the face, just like the picture. George: Yeah. Hi. It’s great to meet you. George: Well why don’t you take off your hat and stay awhile.